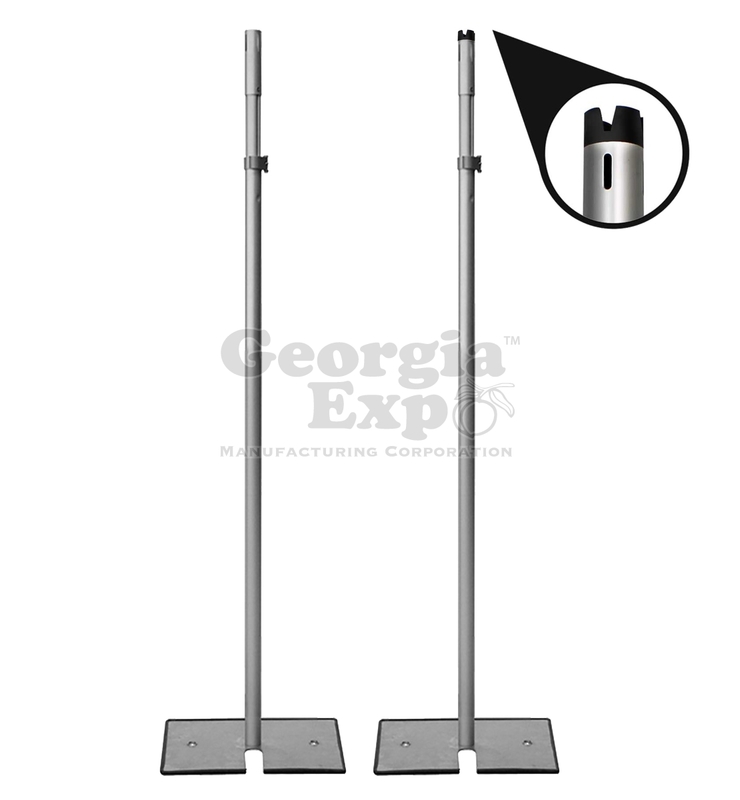 Adjusts in one foot increments by pushing in a button and adjusting upward or can be adjusted in between heights using the Locking Clamp. The only 1.5" telescoping upright available in the market, recommended for companies looking to transition from fixed height to some jobs with telescoping needs up to 12' high. 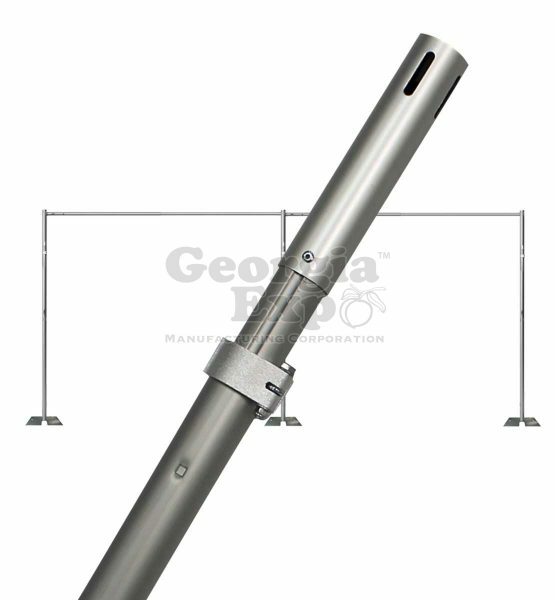 18" Bases come standard with a 6" high pin. 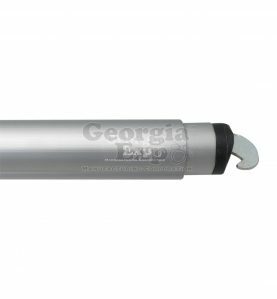 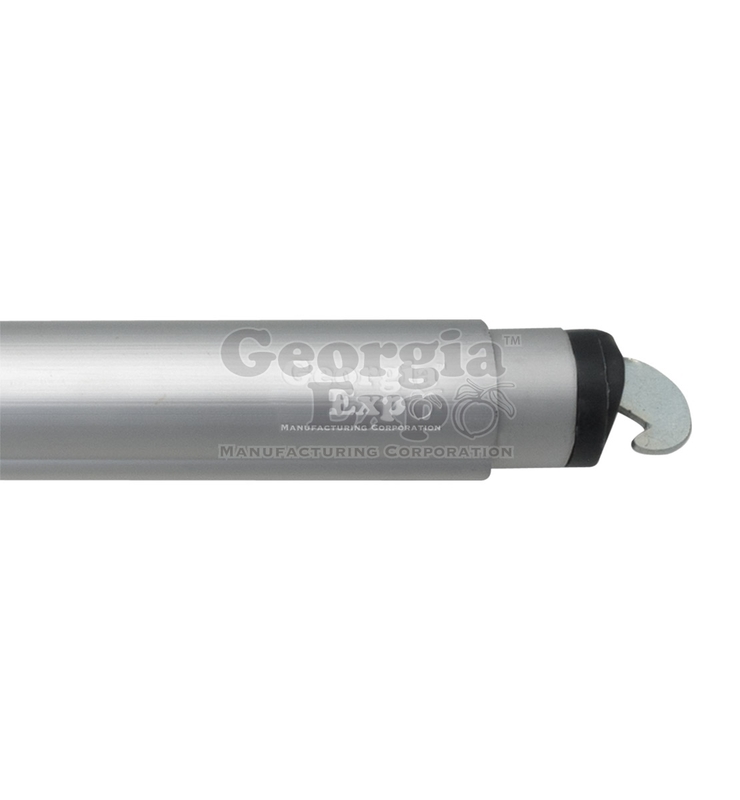 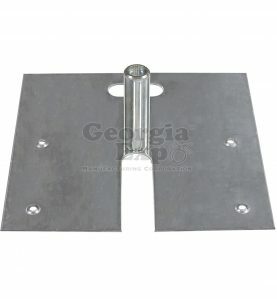 Made from galvanized, 8 Ga. steel and features a stacking slot, carrying handle and 5 pin placement holes on each base. 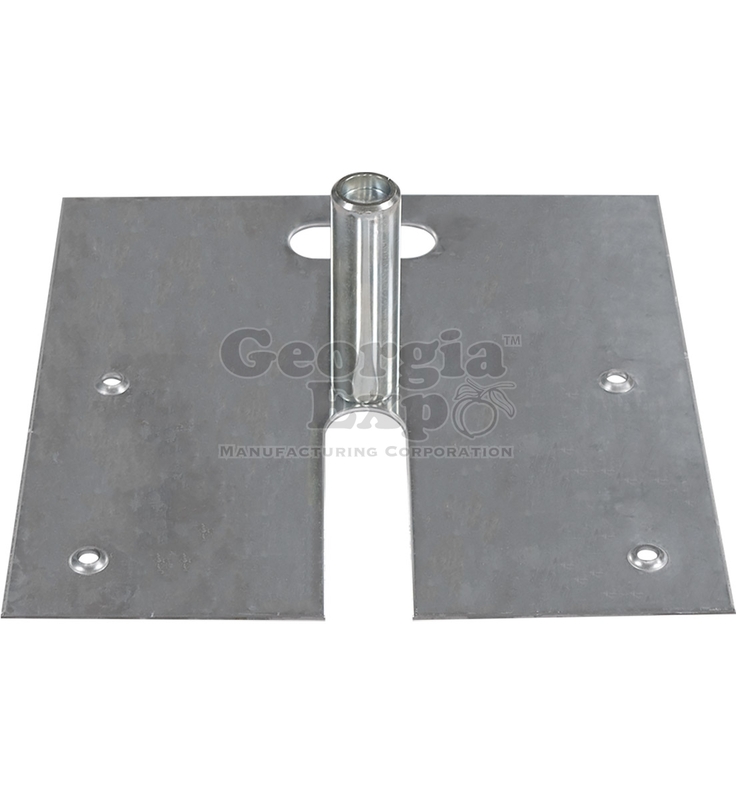 These bases are recommended to pair with uprights up to 12' H.
Slip-Fit Base 18" x 18"